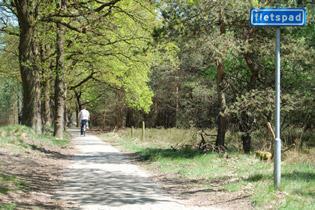 Groot Heideborgh Veluwe Star Route has been designed for cyclists who want to truly live life to the full. During the day, you cycle through beautiful natural scenery and in the evenings you stay at Bilderberg Hotel Résidence Groot Heideborgh in the village of Garderen. Bilderberg Hotel Résidence Groot Heideborgh is known for its comfort, culinary qualities and hospitality. In addition to luxurious, pleasant bedrooms, the hotel has a restaurant with a wonderful patio for delightful and exclusive dining. You’ll definitely feel like a VIP when you visit the wellness centre. Enjoy the heated swimming pool, the Turkish steam bath, sauna, fitness equipment and a tanning bed. Your cycling holiday has never been so comfortable! 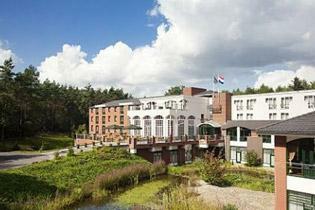 Your hotel is situated in the middle of Veluwe Forest and is therefore the ideal place to begin your daily cycle tours.